I have decided to not post on this blog anymore because there is so much happening on this blog I have decided to create a whole new blog. It is my name and I will be doing travel posts aswell as some beauty posts and also reviews. I hope you will follow me to my new blog. My prom was over 10 years ago, but for those who have their prom next year or in the future here are my top 8 prom dresses from the website Milly Bridal Prom Dresses, to give you some ideas if you are stuck on what to wear. Milly Bridal specializes in affordable wedding dresses, bridesmaid dresses, prom dresses, prom ball gowns etc. Looking through their website it's so hard to choose just 8. They are all so beautiful. Without further ado, let's get into my top 8. 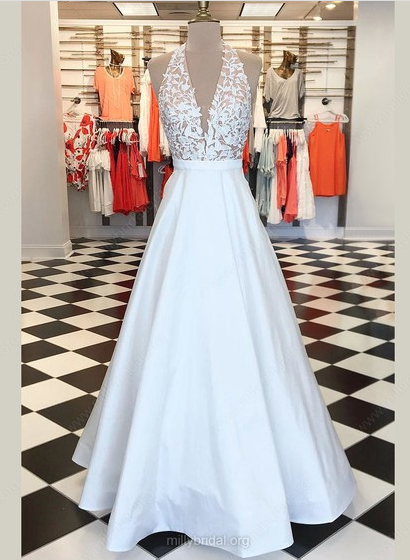 This dress is elegant and beautiful with its lacy bodice and a sweep train, This dress just had to be my number one. This would look amazing with a dainty silver necklace and some silver bracelets. Some silver or white shoes will finish off the outfit perfectly. This next one is very elegant and perfect for prom. It's not too over the top, but with the gems around the neck and waistline it just gives it that extra bling to the dress that makes it look beautiful. It's an open back but it's outlined with the beautiful gem detail. You wouldn't even need to wear a necklace with this dress. It comes in 32 different colours, so there is a colour for everyone's taste. 3. Vintage A-Line Off-the-shoulder satin Floor length dress. This would have to be one of my favourites, I love vintage things. The scoop neck makes this dress very elegant and I would pair it with a necklace and a pair of black or silver shoes. Dancing in this dress would be amazing you will feel like you are gliding along the floor. It also comes it a variety of different colours and for $145 how can you go wrong. 4. Casual A-Line off the shoulder satin Asymmetrical High low prom dress. If you don't want to go for a floor length dress then this one would be a perfect option for you. It's a high-low dress which also gives it a very elegant look. I would pair it with a pair of heels the same colour as the dress, (as seen in the picture) I would also add a necklace and a cute black clutch to finish the outfit off. This dress is giving me royal vibes. This dress is also under $100 which is an absolute steal. When I first saw this dress I fell in love. I love the tulle skirt it's very princess style. This dress comes in a variety of colours but I really love the green in the picture, I also think this dress would look amazing in Pink. The lace on the top just gives the dress an elegant look. Down the back there are buttons. This dress is similar to the last dress but this is a two piece. I thought I would add a two piece in this post because I like to give you guys a bit of variety. I love how there are 2 different colours in the dress, the underlayer which is the pink in the picture but you can choose any option of colour you want, And the overlay which is a black/brown colour. It looks beautiful. The top part is satin which would make it very silky and smooth. And I love how the colours are the same on the top and goes down to the skirt. This wouldn't be a frangipani goddess post without something very glittery and has a lot of sequins. This dress is just that. The colour is even really beautiful and again it comes in a lot of different colours. It has an open back, so this dress is for someone who doesn't mind showing a lot of their back. You could pair this with a pair of plain black shoes so it doesn't take away too much of the dress. 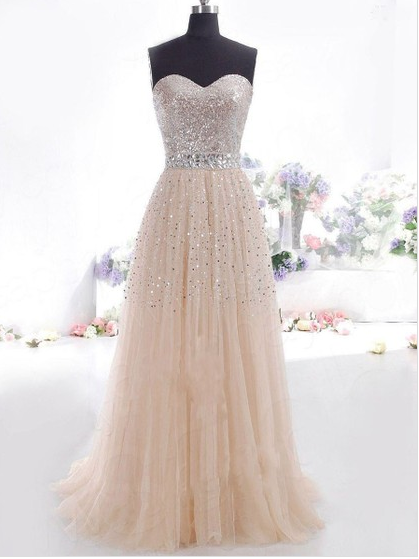 To finish this post I thought I would post a strapless dress with sequins on the bodice of the dress and sequins and rhinestones draping down onto the skirt. This dress is very princess style. 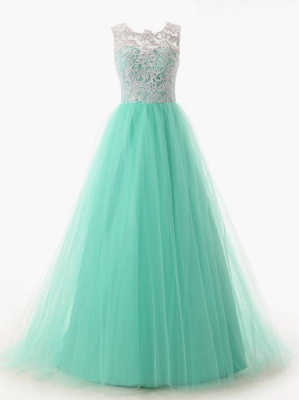 Its so beautiful I wish I had found this dress for my formal. All the dresses are lined so they won't be see through and the fabric looks really strong. Well that is it for my post I really hope you enjoyed it. 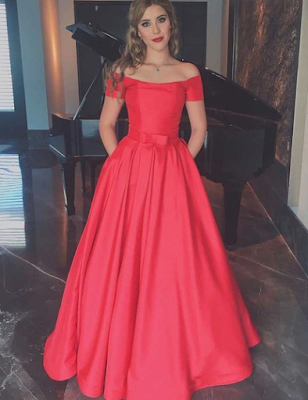 Let me know in the comments what your favourite dress is and what dress you wore to your prom/formal. I used to love sending letters to my friends and family, but now with all of the technology we have its as easy as clicking a button. When Paperless Post reached out to me and asked if I would review their gorgeous ecards I was intrigued to see what they were all about. When you go to their website you are greeting with a beautiful colourful website. You are able to choose from a lot of different options such as invitations, ecards and even flyers. The flyers are free to send but if you want to send anything else it will cost you. I love this service it's so simple and easy to use. First you chose the design you want, then enter the details of the event and that's it and send it to all of the guests via email. There is even an iphone app which makes the designing of the cards etc easier. With so many designs you are sure to find something to go with your theme. This is a very different post than my usual posts. So if you follow me on social media you will already know this. She first got diagnosed in July of 2016. She had 4 chemos then a full hysterectomy and then 2 more chemos. After the surgery, we were told that a piece less than half a centimetre was left under the lung. but the last 2 chemos should get rid of it. She was in remission for 10 months until a visit to the oncologist for a check-up showed that the little piece had flared up. It was now throwing out fluid. So a different oncologist suggested lung surgery to remove some of the cancer on the lung and to stick the lung to the chest. 1 week later she had surgery in September 2017. She was in hospital for her birthday. She was sent home and for 3 weeks she suffered because she couldn't breathe properly. She required oxygen but the hospital didn't organise any so 3 weeks later my mum fell and hit her head on the tiles because of the lack of oxygen. We called the ambulance and she was brought to emergency. She was later transferred to another hospital where she stayed for a week. They organised oxygen to be sent home with her. Further tests showed that the fluid had come back around the lung and was now around the other lung. She started chemo. With this certain chemo it was the same one she had the year before but on the 8th one, she got a reaction so they had to stop it. When she saw the oncologist again he put her on another chemo. After the 3rd she had a scan and it showed that the chemo wasn't working. They said that there was nothing else they could do. But mum demanded they do something so they gave her another chemo. She was still on oxygen and she had more trouble breathing she could even walk to the bathroom without losing breathe. We got her a wheelchair so she could get out of the house. But the Saturday of the labour day long weekend everything went downhill. Dad was helping her have a shower and she said she wasn't feeling well so we called the ambulance. They brought her to the hospital and gave her a mask to put on. Dad was with her and then he left that night and came home. The next morning we got a call from the nurse telling us my mum is deteriorating and she was waking up and then falling back asleep. So we rushed there and saw her the doctor said they will try everything to get her back to normal. She was very sleepy that day but we thought when we returned the next day she would be better. But the next morning we got another call from the doctor and told us to come in because she is getting worse. We rushed in and she wouldn't wake up. I started crying we finally got her awake but she was very drowsy. The doctor said that they tried everything and they would give her something to calm her down. We called all our family in to see mum just in case she passed away. The room was packed. My grandmother was next to my mum all night. At 2:10 am on the 13th march my mother took her last breath surrounded by family. There was me and my dad, my grandmother, my mum's aunty and uncle, their son and my cousin. It was such a tough time. We cried so much and being home without feels different. I'm expecting her to walk through the door. We had her funeral on the 21st it was such a beautiful service and we buried her in the mausoleum. I learnt that family is the most important thing when things like this happen. I don't know what we would have done if we didn't have family around us supporting us. It's just my dad and I now and our little dog Rocky. Time heals pain but I miss her so much every day. When dad goes back to work and I'm home alone it's going to be the hardest because for the past 2 years I was her carer. I keep thinking about the things she will be missing out on in the future like birthdays etc. Mothers day will be the hardest. Thank you for reading this post I know it was a long one and I'm so sorry. Have you lost a parent or anyone close to you? A while ago the rainbow highlighter was all the rage in the youtube and blog world. I know I'm a little late to the party. But I couldn't get the original one. So I bought one off of eBay. It's such a beautiful highlighter. The colours are so pigmented and shimmery. The colours come out so well on the face. It is a little be chalky but once you blend it out a bit it comes out great. My lighting was really weird in the second photo. The colours look very yellow based, But in reality, they are actually really gorgeous. This would suit so many different skin tones. Well, I hope you enjoyed my review. Let me know if you tried the original highlighter or if you have any other highlighters that you adore. 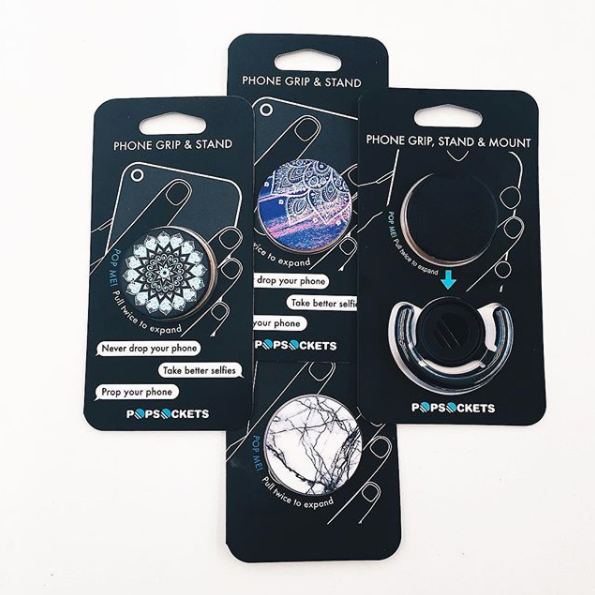 Pop sockets are a big thing right now. Almost everyone has one. These little things are perfect for holding your phone while on a call or even taking a selfie. I have one on my phone and I love it so much. It’s just so much easier to hold the phone. I was sent some pop sockets to mention on this page. Here are the ones I was sent. These are so gorgeous. The marble one is my favourite. They are made of hard plastic and the colours of the designs are so bright. I also got a second package where I got sent the items above. I am currently using the rose gold one. 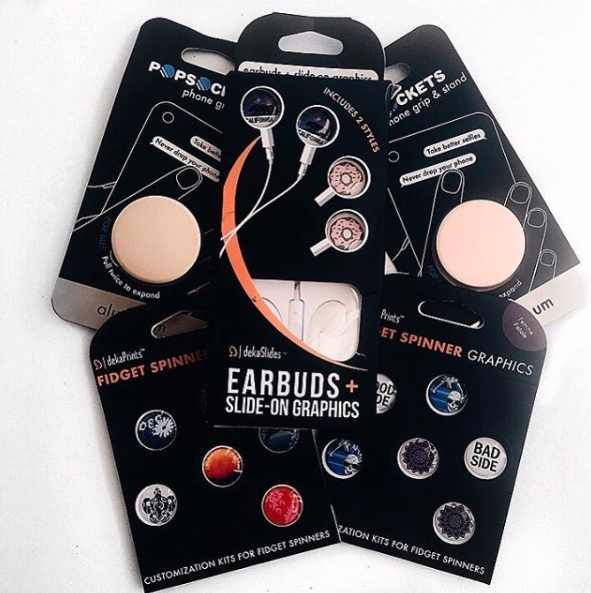 I was very intrigued by the earbuds and slide on graphics. They are so cute and you can personalise them to make them your own style. I also love how you can change the graphics to the ones that come with the fidget spinner packs. I always find my self-playing with the pop sockets when it's on the back of my phone. It's also great if you love to fidget. I love how they come in such a wide variety of colours and designs. Here is the website where you can purchase your own. Hey everyone im Danii and welcome to my blog. What you will see it Beauty, books and lifestyle. Visit Danii's profile on Pinterest.